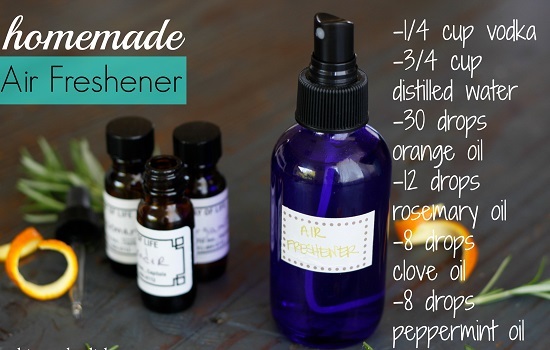 These all natural air freshener DIY recipes will eliminate the repugnant smell from the surrounding without harming you with toxins! 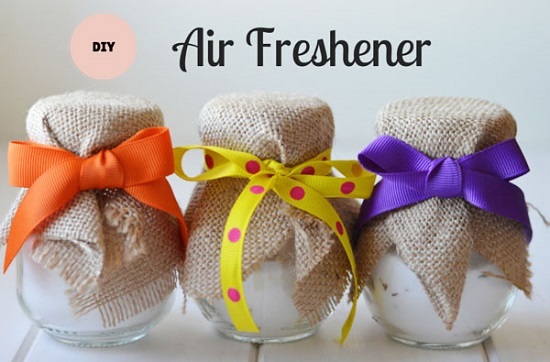 Do you want an air freshener recipe that has plenty of window for variation and can be tailored to suit a different season or a different mood? This DIY lets you do all of that without compromising on efficacy, thanks to baking soda. 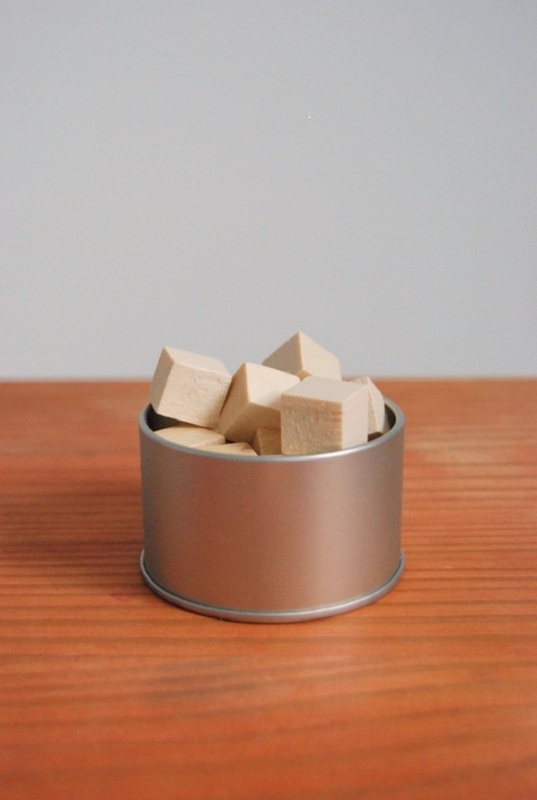 Make your homemade air freshener long-lasting by dipping absorbant wood cubes into essential oils overnight. You’ll be surprised to see how long it holds out. Find the instructions here. 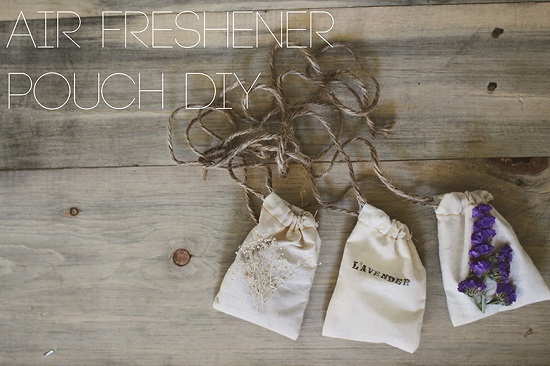 This DIY shows you how to proudly showcase your homemade air freshener packets in your car and even create long-lasting versions that soak up putrifying car smells during the day. Bring an outdoorsy touch to the coffee table with this aesthetic orange peel air freshener. Get the details here. 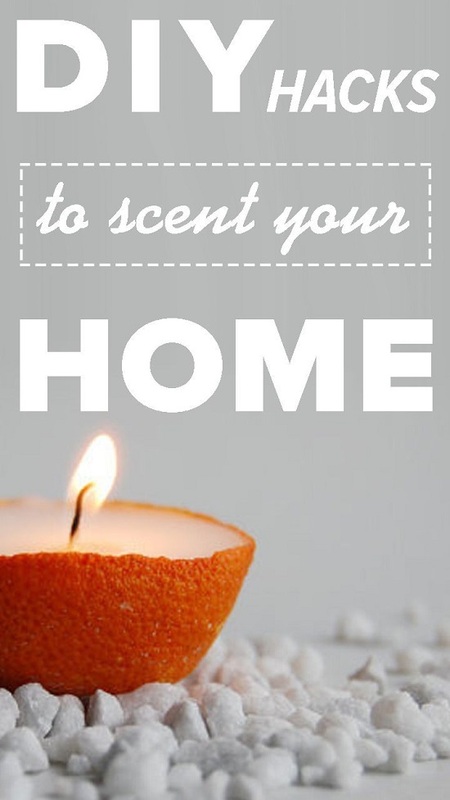 If you’re looking for zesty or floral combinations of essential oils that deodorize your home without overpowering your senses, consider taking a look at this detailed guide. While any combination of essential oils can purify your home, it helps to amp up their antibacterial and antifungal quotient by using specific essences for each, like bergamot, cinnamon, and eucalyptus. Get more info here. 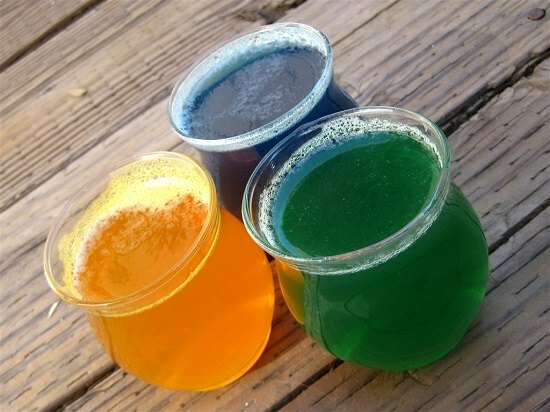 This liquid potpourri recipe includes water and essential oils to leave lingering scents and soak up nauseating odors from dingy corners. Get the complete recipe here. 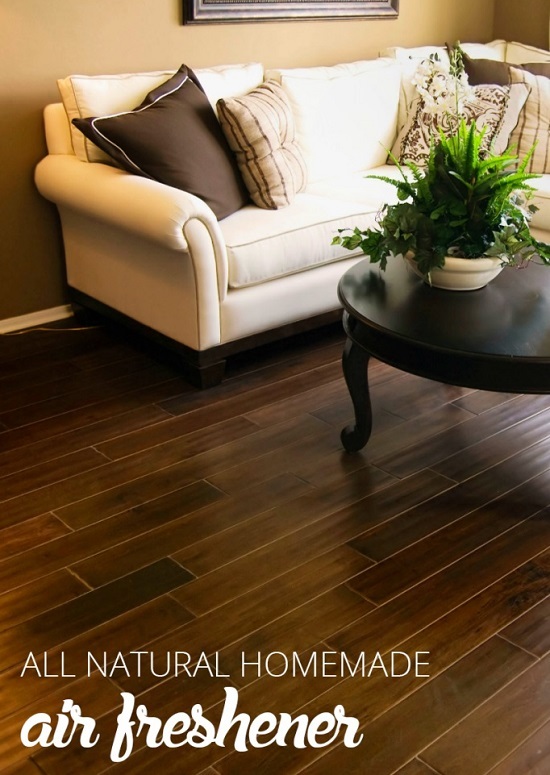 The pleasing aroma of this organic air freshener combined with its easy and economical recipe makes it a great solution to tackle the toxic garbage floating in the indoor air you breathe. Get the complete DIY here. 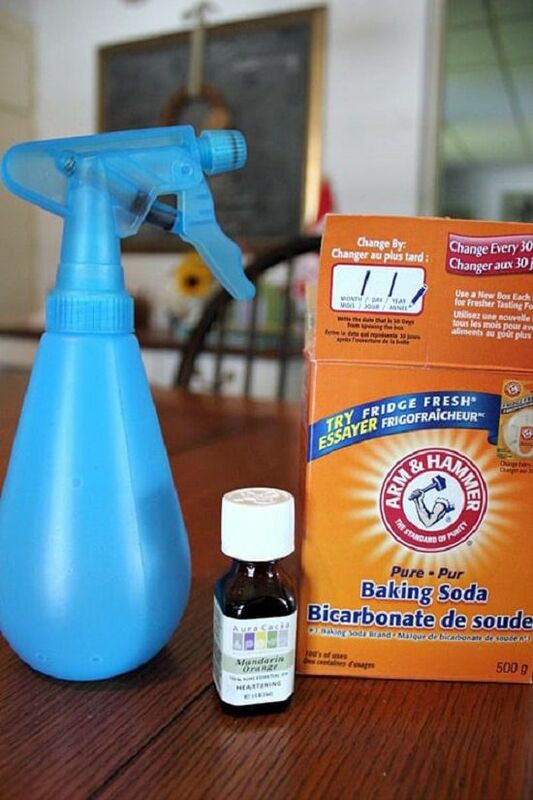 Whether you want to freshen up a smelly carpet or place a tabletop deodorizer, this lucid guide with its ample ideas of customization shows you how to harness the odor-absorbant properties of baking soda. For a more aesthetic touch, swap out the jar of baking soda with a charming bowl of dried herbs and flowers that elicits a mildly heady fragrance up to 3 weeks. Make one with these instructions here. If you’re allergic to chemicals or loathe the synthetic content of chemical air fresheners, consider homemade versions using kitchen ingredients. We suggest you contain them in pretty burlap-wrapped jars to gift them to your friends. Find more instructions here. 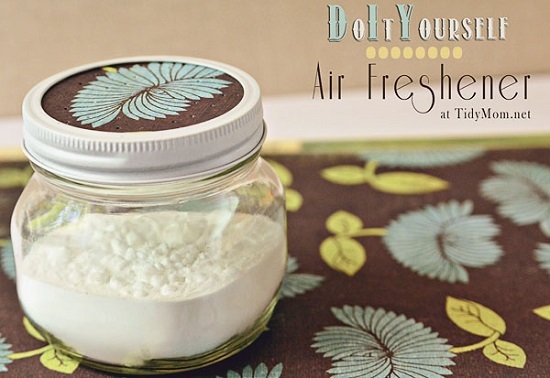 Another beautiful way of presenting your homemade air fresheners is to solidify them. The gel versions are travel-friendly and last longer. Get the details here. 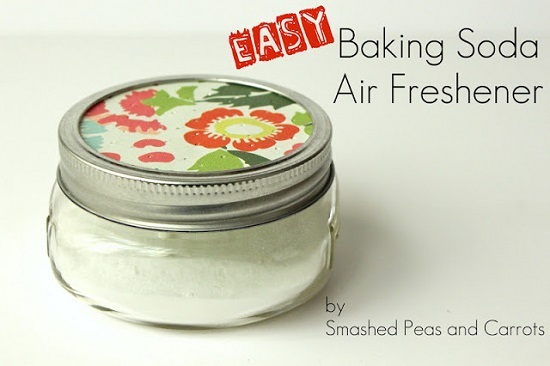 Probably one of the simplest recipes in this list, this eco-friendly air freshener combines the odor-absorbing properties of baking soda with the pleasing fragrance of any essential oil of your choice. Get the DIY here. How would you like an air freshener that doesn’t just soak up the garlicky smells of the carpet but also elevates your mood with its uplifting aroma! This witch hazel-infused spray does just that. Find more details here. 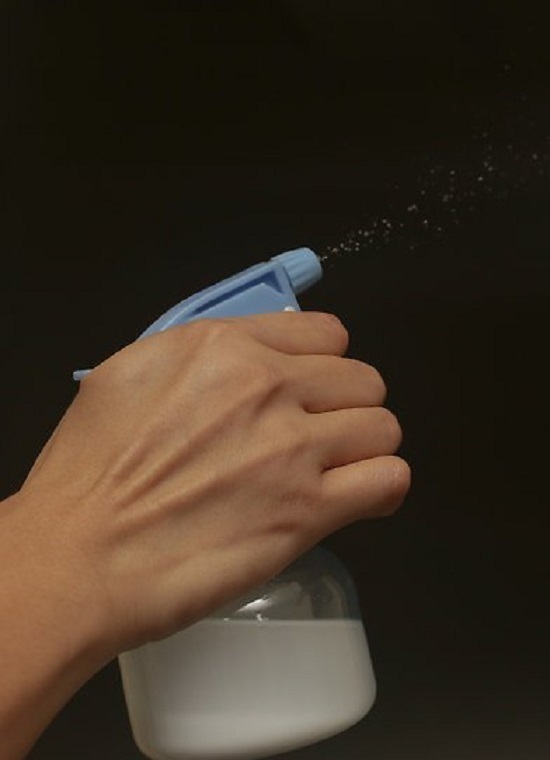 A simple formulation of vanilla extract in water, this air freshener spray is a nice option for people who aren’t quite fond of extra fruity or floral smells that the synthetic versions come with. Get the recipe here. 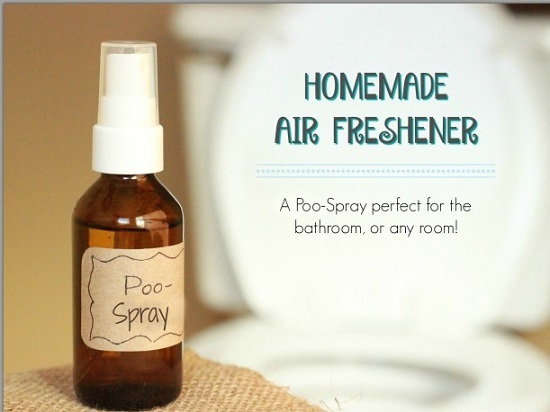 This all-natural freshener contains some vodka, distilled water, and natural essences to neutralize lingering odors in any part of the home, right from the bathroom to the front door. Get the details here. 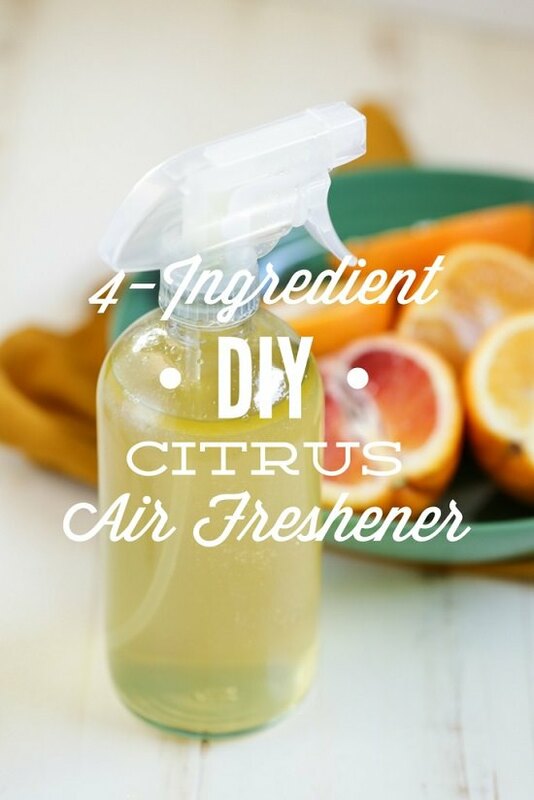 Combining the antibacterial properties of clove oil with the sweet, tangy scents of orange oil, this nontoxic homemade air freshener recipe is a delight to spray, considering the nauseating smells of chemical counterparts. Get all the instructions here. If the stink of muddy feet constantly ravages your house, thanks to the tiny tots, what you need is a quick homemade air freshener that is not only economical to make from scratch but also doesn’t leave toxic residues behind. Find more info here. The minty fresh scents of Mandarin orange leaves your home smelling like a summer orchard. Or, you could swap it with lavender for a floral scent or even amp up its note with few drops of rosemary oil. Find more instructions here. Whether you want to Instagram your homemade natural air fresheners DIY or give them away as holiday gifts, these gelatin jars with natural fragrances are a nice way to start. Find the details here. Why burn wicks when you can easily make this festive concoction of spicy and fruity scents that add cheer and freshness to any part of the home. Take a look at these instructions. Using vodka as the base for infusing and preserving citrus peels, this homemade room spray gives you a handy tool for deodorizing linens and leaving a zesty scent behind. Get the tutorial here. 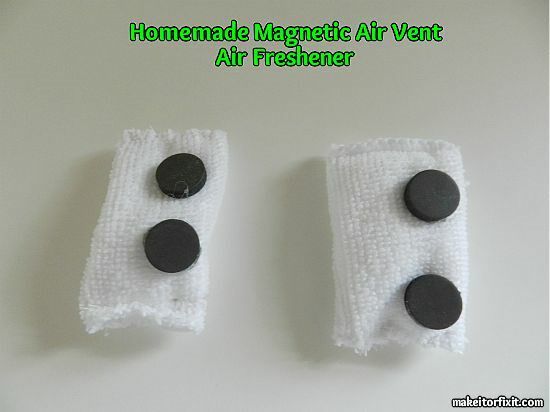 When you want a permanent deodorizing fix for close-ended spaces like bathrooms, homemade magnetic vents can help. However, they work equally well for freshening up carpets. Get the hack here. With no liquids to spill, no chemicals to spray, these DIY gel air fresheners enriched with peppermint and lemon add a lovely dose of scents to cars and desktops without causing any mess in the process. Find complete instructions here.